Superstitions have played a unique role in the human life right from the beginning of Civilization. Even today we find many people who are superstitious about different things and do not want to give them up for some reason or the other. The ancient man was ignorant and at loss to explain the various natural phenomenon like thunder, lightning and climatic changes. He knew little about sun, moon, comets, and meteors. So he formulated his own theories about these celestial bodies and happenings and devised methods to protect him against their adverse effects. However, with the advancement of science, man came to understand many heavenly bodies and their physical characteristics. As a result the old beliefs should have died down. But, somehow they continue to have their hold on people. 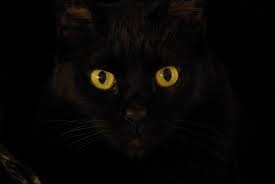 A superstition is a belief, usually born out of fear, which is contrary to reason and can not be proved by experience. A comet was a mysterious phenomenon. It was taken to be a sign of imminent plague or war; people also believed that if one looked at the moon for a long time he would get ‘moonstruck’. In fact the word "Lunatic" has been derived from the Latin word "Luna" which means moon. Since the ancient, people also failed to understand the behavior of animals, they built up superstitions about them. 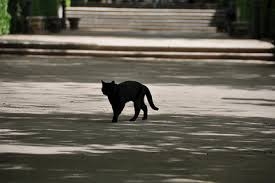 A black cat crossing your path was a sign of bad luck. The hoot of an owl was a sign of approaching death and so on. Over the centuries, superstition about "lucky" and "unlucky" were also developed. But, even today in some cultures Black Cat is considered as a good luck and in some cultures it is considered as Bad Luck. What is good luck and what is bad luck has to be viewed with reason and social orientation only.